How long has it been since you’ve taken a close look at your property? Does your lawn just not look as beautiful as you want it to be? We’re here to help you! 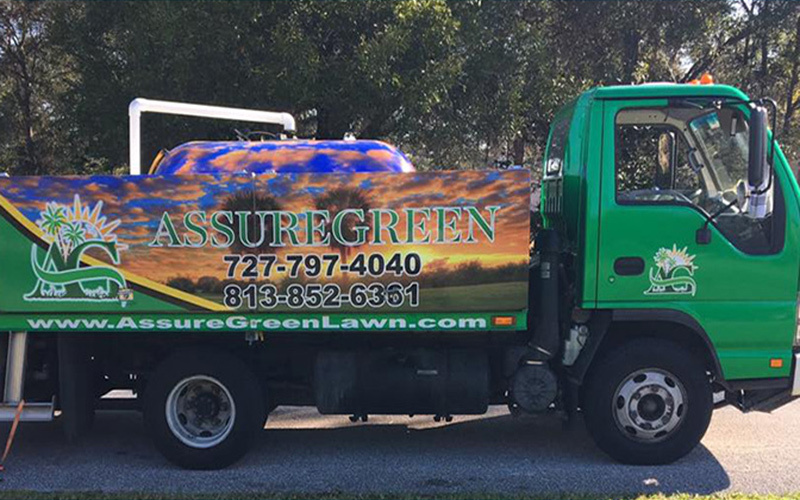 At Assure Green Property Service, we can customize a system for you and your lawn care needs. Our team of professionals can definitely help your lawn look excellent throughout the year! Our company is located in Oldsmar, and for the past eight years we’ve serviced the Tampa area. We take great pride in our workmanship and the solutions we offer. Assure Green is dedicated to every one of our customers. We are here to help you with all of your professional lawn care needs in Holiday and the surrounding area. You don’t have to deal with faceless, corporate lawn care companies. We are all about providing a personalized level of service to our customers. You are more than just a number to us, we treat your lawn the same way we would if it were our own. Your trees and shrubs are a valuable landscaping investment. Here at Assure Green our technicians are meticulously trained to be able to identify any plant damaging bugs, deficiencies or disease that may call for fertilization. After a extensive evaluation is finished we will recommend a customized program. Fertilizer, insect and disease control are the primary elements of our tree and shrub programs. Your technicians will monitor your plants during the growing season to verify that they are responding to treatment as expected. Homeowners of the Southeast have to cope with a sinister introduced species of ant that triggers blazing reactions from its victims. This ant species not only builds enormous unsightly mounds, but it is also very aggressive in its attempts to inflict painful bites and stings sometimes described as feeling like fire. What is this pest ant? It is the imported fire ant, or Solenopsis spp. to the experts. Believe it or not, imported fire ants are impossible to permanently eradicate. But with a special treatment called Top Choice we are now able to guarantee to get rid of them from your yard for an entire year. Our Fire Ant Program can help deal with this dangerous problem within a matter of days. Some people think that your home is immune to flea and tick problems if you don’t own pets. Even if you do not have a domesticated animal does not mean wild animals such as squirrels or raccoons can’t drop fleas and ticks off near your home. The key to flea and tick control is understanding of their biology. Certain stages of their growth can tolerate the effects of bug killers. The proper product in the proper place is necessary to have any chance of gaining control. It’s very important to evaluate your home and yard to discover sources and harborage areas as well as areas conducive to flea and tick infestations, and then design a detailed treatment strategy. Then a trained specialist with a wide array of products performs an initial treatment for fleas and ticks. We customize each treatment exclusively to the condition of your yard. Mulching is amongst the most efficient methods of controlling weeds. If your shrubs and flower beds have a problem with weeds then there is a good possibility that we will suggest mulching. In general, mulch is a substance that is applied onto the soil that serves a number of functions. Mulching prevents the growth of weeds, but is also used as a way to increase the concentration of soil nutrients. Much is offered in both organic and synthetic varieties. We consider mulching to be a critical component in an complete lawn maintenance program. Regardless if you are looking for mulching to address weeds specifically, or as part of a total lawn care system, Assure Green can help. Mulching can help your lawn and garden achieve their full potential. Assure Green is the company to call for all your sodding needs. 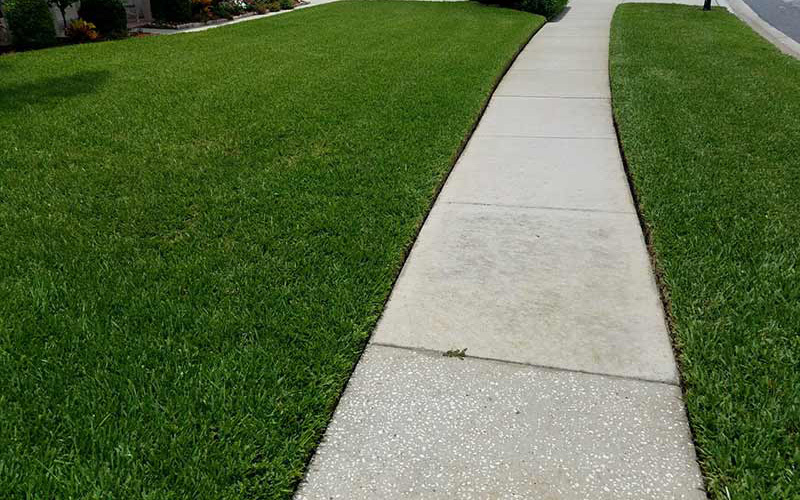 Whether you are looking to have sod installed, sod removed, sod replaced or virtually anything when it comes to sod services. We do it all from large jobs to residential patch jobs. Regardless of the sort of sod you prefer we can install it for you. It is important to get advice from pros. There is no one size fits all solution because every lawn is different. An Assure Green technician with investigate your lawn, take the proper measurements and photos to provide you with a detailed quote for your particular project. The Sabal Palm is the state tree of Florida. It will come as no surprise that of the over 2500 types of palm trees the vast majority of the can be grown in the Sunshine State. And The University of Florida – Ft Lauderdale Research & Education Center is an internationally-recognized centre for research on ornamental palms. It is important that palm tree owners are knowledgeable on the appropriate care for these trees. Very often a palm tree will die simply from deficient maintenance or even fertilizer burns. 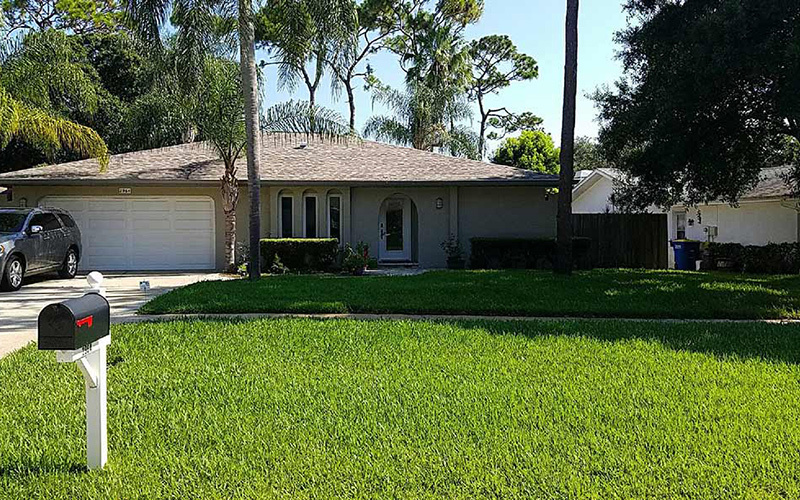 Here at Assure Green we recommend a separate palm tree plan and conform to The University of Florida guidelines on proper fertilizer that is specifically for palm tree care. Aside from deficiencies there also diseases to watch out for that can not only kill the present tree but be transferred to other palms in your landscape with incorrect pruning practices. Fortunately for you all of our techs have been trained on the UF protocol and know how to inspect and treat correctly. According to the U.S. Department of Agriculture, Japanese beetle grubs alone are responsible for an estimated $234 million in damage each and every single year— $78 million for control costs and an extra $156 million for damaged turf replacement. You may not know it, but grubs are merely immature beatles. They hatch from eggs that are laid in the soil. They have many life cycles all through the year. While they are adolescent they lie in the soil and feed on plant or turf roots. During the course of their feedings the turf will progressively get worse. If left without treatment your turf will no longer be able to process any moisture and will eventually die. 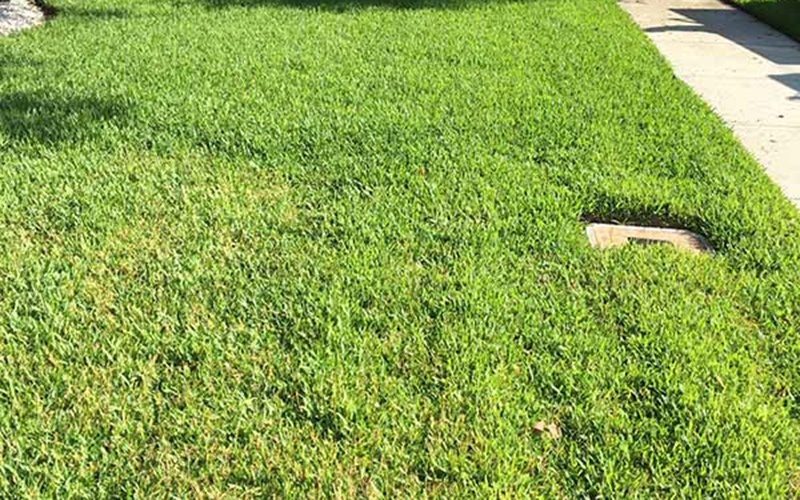 These patchy yellow areas can be spread throughout your lawn. You might also be able to pull patches of the turf right up as there isn’t a root system attaching it to the soil. The most effective way to avoid more damage is to apply a preventative insecticide, this is particularly true where you have had recurring grub problems. Preventative treatments allow us more adaptability in application time. We will apply a long residual insecticide safeguarding your lawn from grubs ever causing more damage. Round Up will kill whatever it is sprayed on, be it weeds or plants. As a result you have to be careful when you apply a non-selective weed killer. Round Up applications are available to you if requested. If you would like your weeds sprayed in your shrub beds or an area killed off we can take care of any of your issues. We don’t usually offer Round up as part of our standard service because we are not out often enough to maintain adequate control. Typically your lawn maintenance company will maintain control of the weeds in your shrub beds because they are out to your property on a weekly basis. Do you have a yard that regardless of the treatment it receives just never seems to look good? Soil samples may help us understand the situation if nothing else has worked. We have a laboratory analyze the sample to determine the nutrient content of the soil. The information these tests reveal can prove invaluable when it comes to fixing a damaged yard. The Better Business Bureau has awarded our business with an A+ grade. We have also received several Angie’s List Super Service Awards. Our team of experts is ready to help you get your lawn the way you want it. 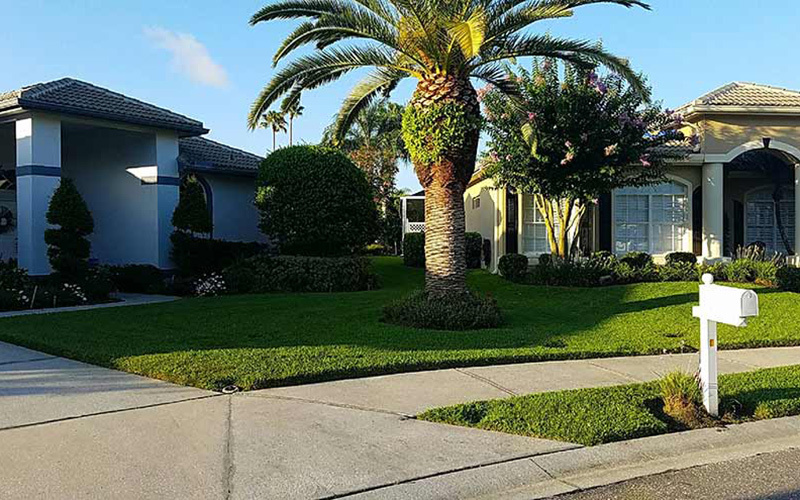 Simply give us a call at (727) 797-4040 if you’re looking for lawn care services for your home or commercial property in Holiday. We will supply you with a free quote right after our evaluation.